Innovation is the thing that stirs up the smartphone market. It keeps consumers interested about the product, which keeps the market alive. And because innovation is key, each smartphone manufacturer tries to integrate their products with feature after feature that has a wow factor for the people to look forward to. Through the years, a smartphone war has been going on, determining which company can outsell the other. With exceptional creativity and vigorous effort, Apple and Samsung have emerged the greatest in their chosen niche. They make sure that they never stop developing their products in order to carry on with the tradition of releasing an innovative item AT LEAST once a year. Due to this trend, people have prostrated themselves to annual upgrades and mindless spending that ultimately lead to wasteful consumption. Just a month ago, a concept was initiated by Dave Hakkens in the name of Phonebloks. Its vision is all about having a phone worth keeping. It already has garnered over a million views after being uploaded for after the first 24 hours. It just proves that people have seen the potential of his concept and are completely backing up its developments. In fact, the goal of Hakkens is to create a voice that explicitly shows interest to the concept by spreading the word and getting an X number of supporters, which it had exceedingly accomplished. That is simply the idea. Thereafter, it’s up to the companies to collaborate with the project. As said, the target was met, but what’s next? Notwithstanding the myriad of people who support the concept, if no one will work on it for it to materialize, nothing is going to happen. As it turns out, Google’s Motorola has already been working on this unorthodox modular-concept phone powered by various replaceable parts. However, the company lacked the audacity to publicize its initiative not until the Phonebloks concept has gone viral. Motorola had its inhibitions about the to-be demand of this product to mobile consumers, its outward appearance once it’s put altogether, and not to mention the cost of having to customize one’s own device. 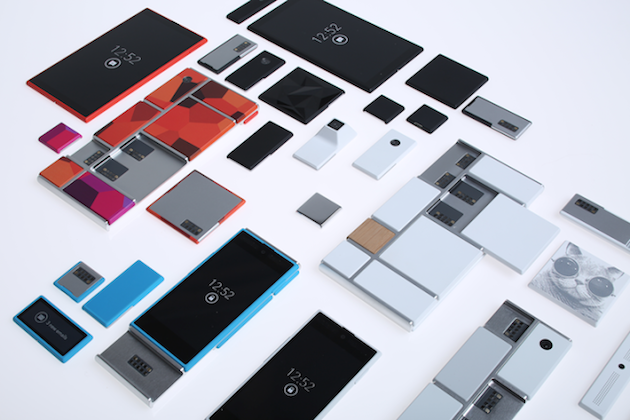 But due to the recent happenings, wherein millions have expressed their positive sentiments about the concept, Motorola got its vote of confidence to take its latest project, which is called Project Ara, to the next level. So, what the company did was to ask the assistance of Hakkens for the modular phone to come into fruition. Hakkens gladly collaborated. Coincidentally, Motorola and Hakkens have the same vision: to create a phone that is modular, open-sourced, designed to last, and made for the entire world.